Formulations Of A Writer's Mind... | A view into the dreamy abstractions of a frazzled writer. Y’von Hawkins wanted to be a stay-at-home mother for her daughter instead of sending her to daycare. She’s accomplished this goal by building a successful AVON business . Now she’s free to live life on her own terms and be with her family while she helps others on her team brand themselves and create more freedom in their own lives as well. After serving as a non-commissioned officer in the U.S. Army during Desert Storm, I came home and began working in different companies. I’ve held positions ranging from Admin Assistant to Department Manager for Target before my family and I finally settled in N.C. I took a position as an Executive Assistant to a prominent doctor who was Vice-President of Medical Education in the area. I enjoyed the job very much but just never felt satisfied. I began my business in 2009 as a hobby. Six weeks later, I found out I was pregnant. A year after her birth, my daughter became ill from an illness that had taken over her daycare—RSV or Respiratory syncytial virus. My then hobby became my savior enabling me to work from home and care for my daughter instead of sending her back to daycare. To be honest I started my business because I had a bad experience with another representative. I figured I could do what she did and obtain a discount on my mascara and eyeliner, while selling to the occasional friend or co-worker. I’ve been in business now as an Independent AVON Representative for four years and a member of the Leadership team for two years. I spend my days party planning, working with clients one-on-one providing for their beauty needs, and coaching other representatives in the art of creating and maintaining their own successful business. I also participate in business expos – networking with other female small business owners to raise awareness of the possibilities of entrepreneurship. I recently created the brand, “Embrace Your Tomorrow”. Even though I represent AVON as an independent representative, I run my business through self-branding and teach my team the importance of branding oneself to further their business. One of the first things I did was get my name out to the masses by any means necessary. I did mass mailings, brochure tossing, and a massive amount of tailgating. I marketing my business anywhere I was allowed. Then, I embraced social media. No matter what business you’re in, you need an online presence. I realized that all the hard work I was doing on foot, I could easily do from the comfort of my home. I could gain access to potential clients all over the globe, not just in my backyard. As mentioned prior, social media has been one of the main assets to my business. However, in the past year, my business has grown simply through networking with other small business owners. I have managed to connect with business I may otherwise never had the chance. Networking with others in brainstorming sessions and business building also assist with exposure to a larger array of clientele. The economy. Being a part of the sales industry, you have to roll with the punches. There are highs around the holidays, and lows at the beginning of the year. The same clients do not buy from me with every campaign, so you have to learn how to supplement the down-time with other ventures. 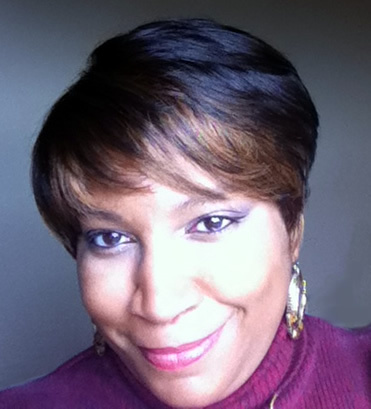 You have to know your clientele and their needs in order to be successful in this business. If the economy is the challenge, then I offer a fix to the issue. I’ve helped members of my team to supplement their present revenue stream by creating their own business. The thing to remember when working this way is to help them get what they need. What I need is irrelevant. I team up with my team to put together events that will cause no extra strain to our pockets during the down-time. Building an online clientele takes a big bite out of the challenge. Having income coming in online, while working my business locally, is an immense asset. What I love most about my business is the fact that my child hasn’t had a sick day other than the common cold in two years. I have the time to do what I wish to do with my family when we want to do it. I don’t have to ask or submit a request for time off. I also love being able to give this power to others. Empowerment and confidence is a wonderful thing to have, but unfortunately not everyone I meet possess these qualities. Nothing pleases me more than to meet someone who’s favorite words are, “I can’t” and see those words turn into, “I can. I will, and no one is going to stop me!” As an U.S. Army vet, I accept no less for myself, and will work to achieve the same in anyone who desires it! Have a dream, and don’t let anyone tell you it isn’t possible. Realize you don’t have to settle because they did. Surround yourself with strong people who possess the same drive and potential as yourself. I mean people who don’t and won’t except excuses. People who will push and support you when needed. Never give up on getting the success you want and deserve. I visit my thoughts on why I do what I do—my family. I also have a great business support team that keeps me going. I set a rule for myself. I get 24hrs to have my pity party. The next day, it’s business as usual with an even more determined drive. I don’t allow myself to quit. I’m the mother of three daughters and the wife of an indomitable man. There is no way in this world I’d give up and be seen as a quitter in their eyes. Outside of that, I have a team that looks to me for guidance. As part of my military leadership I was trained to lead by example and I continue to live by that same creed in my civilian life. I have many philosophies I live by, but one of my favorite quotes from Bruce Lee pretty much sums up my business and personal philosophy: “Always be yourself, express yourself, have faith in yourself, do not go out and look for a successful personality and duplicate it.” I will be successful in my own right. I don’t measure my success by other’s achievements. What I accomplish, and share with others is what is important, and in their success, I will see my own. failure in my daughters’ eyes. serve my country as a U.S. soldier. stand up on your own. You can do better by yourself. that when the road gets tough, you should kick it in the teeth, and drive on. the more you listen, the more you learn, and the more you learn the more you listen. The WORLD WIDE WEB and Linkedin! This entry was posted on 16 February 2014, in Y'von Nannette Hawkins and tagged #WORKATHOME #WORKFROMHOME #ENTREPRENEURSHIP #MOTIVATIONAL #WOMENENTREPRENEURS #AVON. 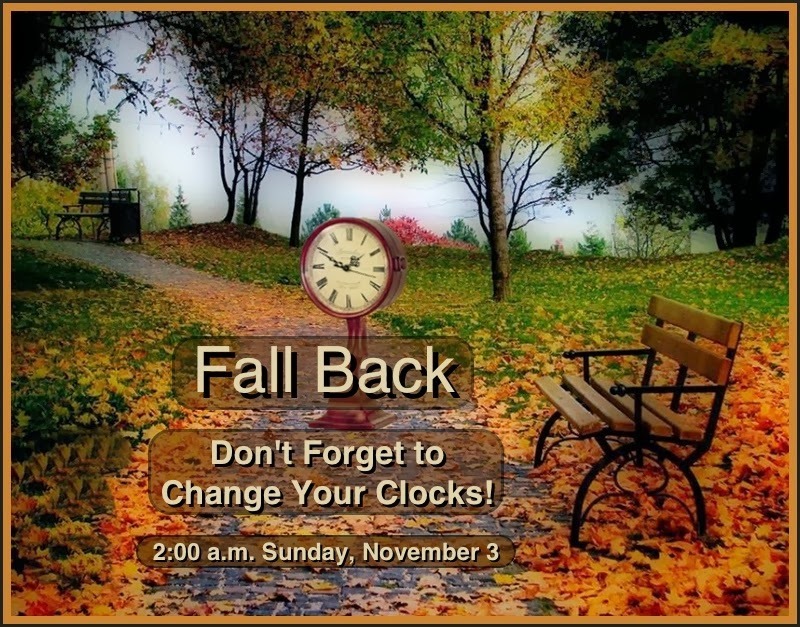 This entry was posted on 2 November 2013, in Y'von Nannette Hawkins and tagged fall back 2013. You can download these tips here. Spanish version. This entry was posted on 31 October 2013, in Holiday Tips, Y'von Nannette Hawkins and tagged Halloween Safety Tips, trickortreating. Castillo is an ex-Special Ops member who spent time in Iraq, among some other places no man wants to see. The things he’s done and seen would make a grown man cry, and some would even crack from the pressure. When his past commander presents him with the task of tracking down a group of vicious escaped serial killer clones and their spiritual leader, the geneticist Dr. Jacobson, PSTD becomes the least of his problems. Jeffrey Jacobson, son of Dr. Jacobson is a clone. Castillo battles with what Jeff is, isn’t, or could possibly be. I wasn’t sure what to expect from this book, but when you mention DNA, cloning and serial killers, you’ve got my attention. I’m a lover of military stories, especially thrillers that portrays it’s characters a more than just foul mouth, gun-toting, killing machines. If that’s something you’re looking for then I suggest checking out Can’s Blood. It was a joy to read for this reviewer. A different twist on an old ethical, argument that will leave you wanting more. Check out Girard’s YA novel Project Cain. It gives the story of Cain’s Blood from Jeff’s perspective. This entry was posted on 5 October 2013, in Review, Y'von Nannette Hawkins and tagged Cain's Blood, Geoffrey Girad. A View from Avon’s former CEO Andrea Jung–“You are about to read Avon’s “fairy tales,” except these are true stories about real women who have changed their own lives and the lives of so many others. Over the past decade, I have met and recognized these 22 women on stage many times. I have listened to their individual stories with amazement and witnessed first-hand their impact on countless others. They have personally inspired me, and so many others, to reach further and believe that with direct selling dreams can come true. Each of these extraordinary leaders has a fundamental belief in the power of sharing their successes and the responsibility that comes with serving as the company’s ultimate role models”. 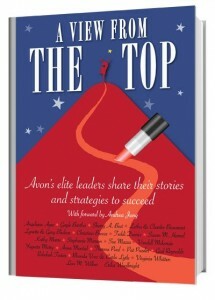 Andrea Jung Executive, Chairman Avon Products Inc.
A few months ago I got my hand on a copy of the latest book from some of Avon’s elite leaders, “A View From The Top.” Inside the leaders share their stories and strategies to succeed. I found the book to helpful and motivational. Since reading it, I’ve meet so many other leaders who are not only forthcoming, but anxious to share information and strategies to assist with my business. I’ve been adopted by one as an honorary team member, a guided spiritually by another. This book is not a step by step guide to build your business, but inspirational memoir of those who did not have, and climbed their way to the top with different levels of knowledge and education. What I’ve learned from these testimonies is that it’s possible for anyone to succeed, you just have to want it bad enough. To want it bad enough requires you to possess the will, and determination to grasp your future by throat and say, “Let’s go! You’re coming with me!” Set your eyes on the prize of what your vision of success looks like. Not now, but what it looks like once you’ve completed your drive to the top. At the end of each chapter the author/leader’s contact information has been included. Why? To make the end of the chapter look good? To separate one story from the next. No. It’s so you can reach out and ask them for guidance. I used to think that once you arrived at this level in Avon you were untouchable. These ladies and gentleman are anything but untouchable. They instill the strength and hope that keeps us all going everyday. Especially on the days we feel like giving up. Anyone interested in Avon for making a little extra income or searching for a new career should read this book. If you’re already a representative you should read this book. Don’t think this is not for you, because when you read between these pages, what you’ll find are men and woman who’ve been down on their luck. They’ve wondered where and when their next meal may come. They’ve been alone, and looking for a change. Something that would take them to a place of refuge in their lives. You may even find someone, who was where you are right now. Read their amazing stories, and find encouragement to succeed within yourself. We’re all different. What may work for one, may not work for all. What you have to brand into your mind is to never, ever give up. When you reach the end of your rope, and you’ve tied a knot, and hanging on with one hand…use the other to reach out to one of these gracious leaders for help. It may be the call that you need to reach your envisioned future. Purchase this book from Amazon, or any of the AVON Leaders inside. Be your best, with the best. I want to hear from you. This entry was posted on 28 August 2013, in Nannette Hawkins and tagged A View From The Top, Angeluque Agee, Anna Montiel, avon, avon representative, book review, Carla Lytle, Charlies Bissonnet, Christina Breeze, Darryl Best, Erika Woolbright, Gail Reynolds, Gary and Lynette Bledsoe, Gayle Bartha, Heather Couvertier, Kathy Marrs, Leader, Letha Bissonnet, Lisa Wilber, Pat Puzder, Rebekah Testar, representative, review, Rhonda Voss, Sherry A. Best, Stephanie Marxen, Sue Mazza, Susan Hamel, Teddi Davies, Theresa Paul, Virginia Whitten, Vondell McKenzie, Yogeeta Mistry. noun: frustration: the feeling of being upset or annoyed, esp. because of inability to change or achieve something. In our day to day lives we often come across obstacles to which we have no control. People that cause us undo stress, can also be a big headache. When that car cuts you off in traffic, and you just want to run them down and…well, I’m sure you’ve been there. I’m sure you’ve been told, ‘Don’t sweat the small stuff’, and at that moment you’d rather to take every print copy of the book of the same title and start a bonfire than take their advice. Unfortunately, that type of behavior is frowned upon, and we therefore must learn to cope. Coping is easier said than done. I’m an ARMY veteran. I’m accustomed to giving an order to a group of people and have that order followed to the letter. What I had to come to grip with in the “real” world is people have a much different approach. You can not expect others to react to a situation in a particular way or time for that manner. You have to do what you do, and let them be who or how they will be in situations. Control what’s in your power, and the rest will fall into place. As one of my mentors said to me today, ‘Don’t focus on the negative. Even when frustrated, in the midst of negativity there are always positives. Focus on those and they’ll get your through. Are things really as I perceive them? What sort of reaction can I give that will properly express my concern, my annoyance, my wishes? What good and positive words can I use to express the need for seeing things my way too? Am I seeing things in other people’s way too? Let’s say that somebody yells at you for accidentally standing on the street, as you intend to cross the road at the same time that they’re coming around. There is no real fault here. You thought the road was clear, the driver did too. Neither of you had malicious intent. To take offense at the driver’s fear of running you over is to place an interpretation on this event that isn’t there; instead, accept that the driver was scared they’d hurt you (and that’s a good intent) and that your piece in the action was equal. Simply apologize, acknowledge your own scare in the situation, and move on. 4. 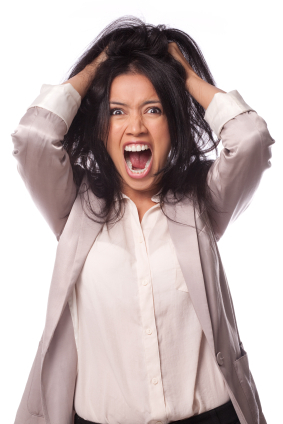 Practice talking back to yourself every time that frustration arises. It takes a long time to overcome what has become essentially a very comforting but demoralizing habit. While it might feel justified to feel a sense of outrage, persecution, and insult, where do those types of self-pitying feelings ultimately lead you? They lead to personal stagnation and a victimhood type mentality that prevents you from growing as a human being and from experiencing what the whole world truly has to offer. Don’t give up on letting go the grip of frustration; it will take time but it will happen if you put in a concerted effort to change your perspective. This entry was posted on 26 August 2013, in Nannette Hawkins, Y'von Nannette Hawkins and tagged coping, Frustration, motivation, triggers. Now if you’re like me, you’ve always thought when someone has potential that’s a positive thing. It’s a driving force! Well, it is. The question is, where will that potential drive you? If you possess the potential to do great things, and you believe it, it’ll drive you to the mountain tops of success. However, if you possess the potential to fail, then success will not be in your future simply because you lack the ability to see it. Failure to see the “BIG PICTURE’ can be damaging to your future. Our attitude towards our failures, an disappointments in life shape how we will continue, if we continue. Now folks don’t think I’m talking to you from atop my high horse, because I’ve been that failed potential. I’ve also been that potential of success and succeeded to great things. I honestly think that in life we must experience both to take in the big picture of what’s important to us. What pulls on our emotional compass and directs us to whom we shall become. Greatness is in us all. It is only for us to discovery it, nourish it, and nurture it into the dreams that we hold dear. 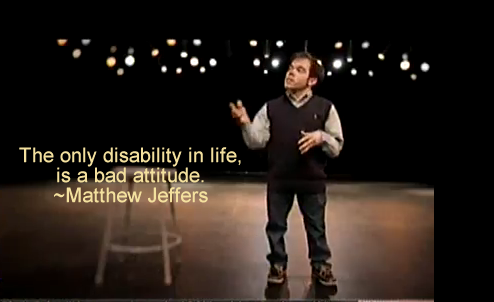 A change in our attitude, could be the very essence that big change in our life. It is up to us to find our emotional compass, and…DRIVE IT LIKE WE STOLE IT! This entry was posted on 24 August 2013, in Nannette Hawkins and tagged dreams, emotional compass, goals, hopes, Matthew Jeffers, motivation, mottivational.